Opportunity and Tragedy! Good Morning Britain. Get your hypnotherapy marketing right and you can find yourself presented with all kinds of opportunities. Today was one such occasion when I was given the opportunity to talk on Good Morning Britain. Sadly if you haven’t heard there has been a plane crash in The Alps where over 150 people are expected to have been killed. At the moment all the media organisations are looking for plane experts, commentators on flying and in my case hypnotherapists who can comment on resolving a fear of flying especially in light of this terrible tragedy. Now you might have expected that these news organisations would have a huge pool of contacts that they would use as their go to people in times of a crisis. Well the reality is not what you think. In many cases they don’t have the right people at all and so when a news story breaks researchers start looking to find people who might fit the bill for the news coverage they need. So how do they do that? Well firstly they go on the internet and start ringing people. If you appear highly in the search engine results they call you and generally ask you to be ready to make comments within an hour or so. There is no preparation time you have to be ready to respond to a reporter’s questions immediately. So how did they find me? Simple I market myself well. When they typed in the kind of person they wanted to speak to they found my name. This wasn’t by fluke or magic it was because I had deliberately placed myself in front of both the public and researchers eyes. You can do the same with a little help and understanding of how the internet works. This is how I have made TV pilots, appeared on radio, in The Sun and The Mirror and so on. Opportunities come my way because I have made them happen. Today I had to turn this opportunity down because of prior commitments but I know that with my hypnotherapy marketing I will get many more. Yes it may seem horrible to have to comment on a situation that is so terrible but if you do not others will and that kind of exposure can keep your phone ringing for months. If you want to learn how to get these kinds of opportunities they you can either purchase my eBook to get an understanding of social media and SEO or alternatively sign up to my marketing and mentoring sessions. My methods work and pay for themselves. On a more reflective note my thoughts and prayers go out to the families who experienced this loss today. Whilst it is a tragic event it is important to remember that we help people get their fears and worries into perspective. The chances of a plane crashing are millions to one making it one of the safest ways to travel. What happened today is an accident that is unlikely to be repeated quickly however there will be many more nervous flyers not in light of this incident. Make sure you aim your hypnotherapy marketing at these clients and give them the help they need to get on their flights without fears and worry hanging over them. Want Me to Prove I am a Hypnotherapy Marketing Expert? I know that am a hypnotherapy marketing expert but of course how on earth do you know whether I am as good as I say I am. You see I know that when I read websites with people trying to sell me things I tend to be sceptical. I sometimes read reviews but I know that even they can be doctored so in many cases I remain unconvinced and I don’t buy. What I really need is a demonstration that the person can really help me and that is something hard for them to do on a website or a video. The great thing about my business is that I can offer your proof that my marketing works and today is a perfect example of how I got a great publicity boost for my business today and you can do the same for yours as well. Only a few days ago I was contacted by a journalist from the Daily Mirror. 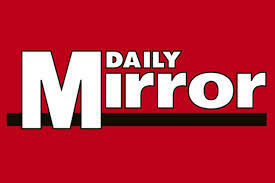 Now if you don’t live in the UK the Daily Mirror is an institution. It is the third most read newspaper in the country and has a daily readership of nearly one million. In fact once upon a time Piers Morgan used to be the editor of the paper. Anyway the journalist concerned had just finished an interview with an actress in the UK called Faye Ripley who has a terrible fear of insects. The interview which was to appear in the gossip section of the magazine was all about her phobia and the journalist wanted some comments from a hypnotherapist on how this phobia could be cured using hypnosis. As this was all at short notice I got a call on Tuesday to do the interview and two days later my name is in the paper. To read the full article in the Daily Mirror click here. Now the amazing thing about this great piece of publicity is that the journalist came to see me and not the other way round. Contrary to popular belief you don’t always need to be the person chasing journalists to get yourself in the paper with clever angles and marketing. In many cases most of my best publicity has come from a journalist reaching out to me. I have been approached to appear in magazines and newspapers, appeared on the radio and even consulted with the BBC and ITV. Now this is not a fluke. Journalists come back to me time and time again for one simple reason, they can find me easily in the search engines. You see most journalists do not have a big list of go to people to contact when they are on a story. This is because for the most part these journalists will only need the help of someone like me once in a blue moon. Therefore if I aimed all my hypnotherapy marketing at a handful of journalists in many cases I wouldn’t get very far. Instead most of the journalists need a quote or an interview with a hypnotherapist very quickly and they go on to Google and contact the name that comes up first and in many cases that will be me. Getting found in the search engines can be extremely important for your business not just because of getting into the media but because it also means that potential clients can find you as well. Admit it most of us including journalists are lazy. They want to do a quick search on hypnosis and find the person they need straight away. They haven’t got weeks to spend researching it instead they want an instant answer. If you aren’t one of the tops spots on the search engine they are using then forget it someone else will get the publicity or the sale. I just happen to be very good at getting found on search engines which means that I get a steady stream of new customers and media work coming my way. The best thing about my hypnotherapy marketing is that I can teach anyone to get the same results. Providing that person is willing to put in the hard work and follow my advice journalists could be ringing you as well. With my marketing and mentoring packages I work with therapists like you to increase customers, build revenue and increase profits. Today I hope that I have demonstrated to you that my methods work, just read my article today or head down to your local newsagent and buy the paper.